Several weeks before America dropped the nuclear bomb on Hiroshima and Nagasaki, Albert Einstein begged our government to reconsider. He reminded them of his famous 1939 telegram about atomic energy, where he said, “We scientists who released this immense power have an overwhelming responsibility in this world life-and-death struggle to harness the atom for the benefit of mankind and not for humanity’s destruction.” Part of the reason was his staunch pacifist beliefs. But, an additional reason for the plea was personal. He argued that using nuclear weapons before the public was educated about nuclear phenomena would result in confusion about the differences between bombs and reactors, as well as the differences between radiation and fallout. He seemed to have correctly anticipated the general public’s level of confusion, but the extent of the psychological fallout resulting from Hiroshima went far beyond his initial fears. Another of his famous quotes says, “Peace cannot be kept by force. It can only be achieved by understanding.” If only the powers-that-were had listened! The powerful pressures of secrecy resulting from rapidly growing communist paranoia after the war placed severe limitations on what ECAS might have accomplished. The eventual nuclear arms race between America and the Soviet Union caused a monumental barrier of secrecy with respect to getting the public even minimally educated about nuclear energy and radiation. Thus, the post-war atomic scientists gave up on government support for public education and focused their efforts on the concerned scientific community. Their efforts failed. ECAS reluctantly disbanded in 1949, but the members continued their publication of the Bulletin of Atomic Scientists, which continues in circulation to this day. 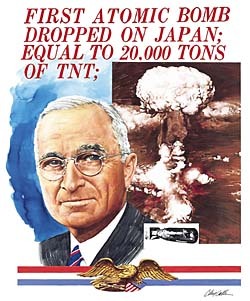 Early in the 1960s, our government wanted the public to believe that a nuclear war would be tantamount to the end of the world, generating the acronym MAD; Mutually Assured Destruction. If MAD worked, there would never be public pressure to use our nuclear arsenal. The Hiroshima Syndrome had burgeoned in the public mind for some two decades and resulted in the public negatively over-reacting to all things nuclear, which clearly supported the MAD socio-political philosophy. It was in the best interest of MAD that the public remain phobic about nuclear topics and confused about radiation. Public ignorance was not only tolerated, it was essentially encouraged. The Bulletin of Atomic Scientists remained silent about the differences between reactors and bombs throughout the Cold War in support of MAD. Over the past two decades the Bulletin has transmutated into a rather typical anti-nuclear journal, asserting misconception as fact. 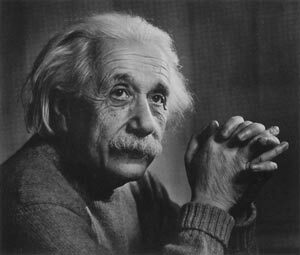 The severe degree of conversion is so great that it no longer resembles Einstein’s intent.